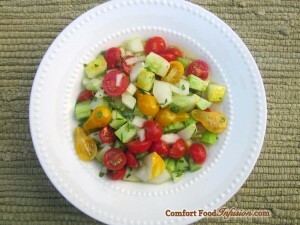 A classic Persian salad dressed with lemon juice, olive oil, herbs and seasoning. In a medium sized serving bowl, combine all ingredients. Let marinate for at least an hour.